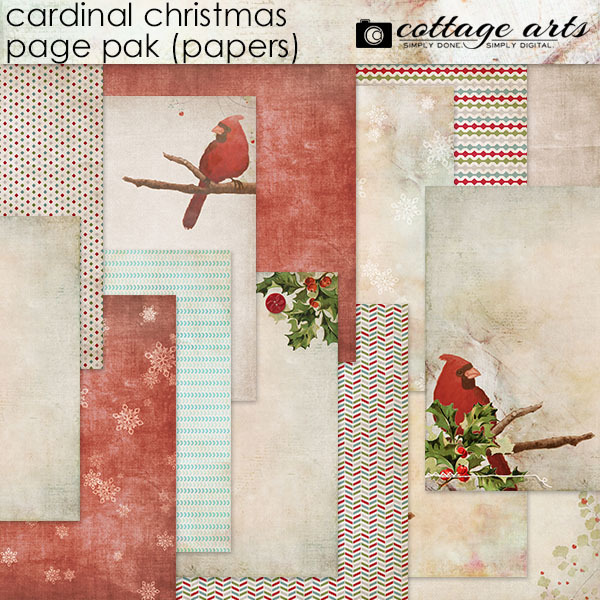 Cardinal Christmas is a beautiful blend of original painted art, vintage holiday imagery, modern shapes and colors. 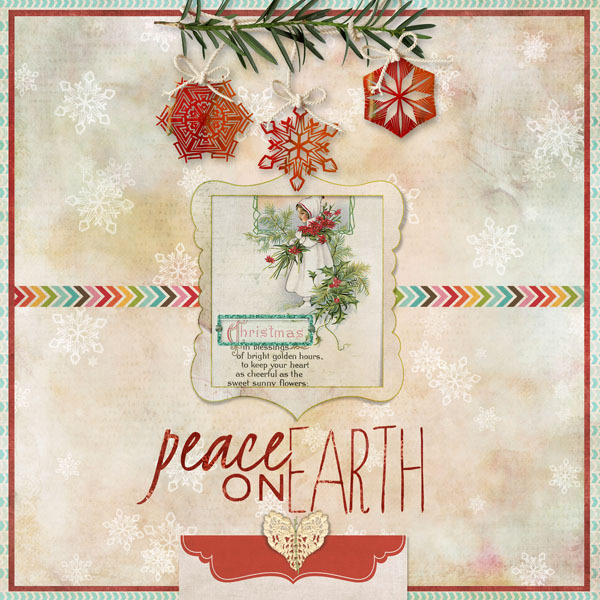 This digital kit includes 14 - 12x12 papers and 41 fun and festive embellishments. 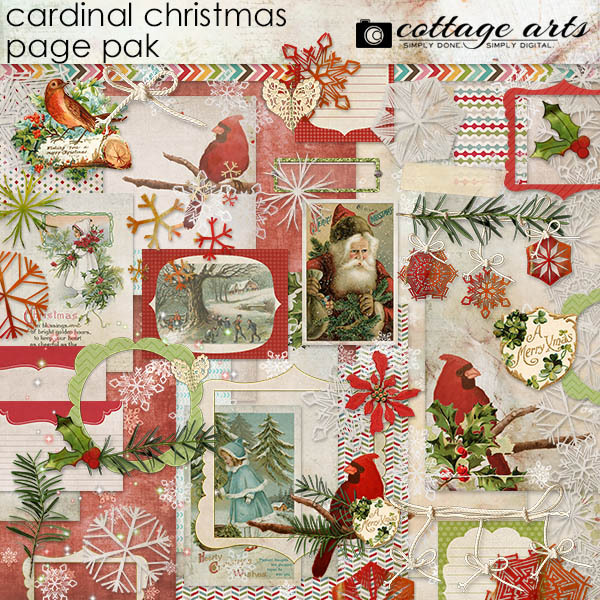 Some of the elements include snow flakes, hand-painted cardinal in memory of Michelle's mom, vintage ephemera, pine branches, frames, journaling mats, borders, and more! 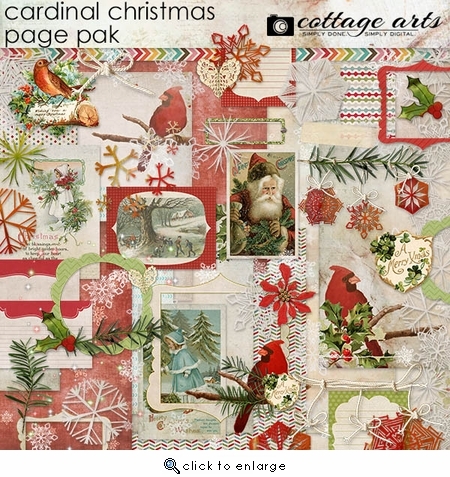 Perfect for Winter, Christmas, New Years, Vintage, Heritage, and Everyday Moments pages, too!